Project Durango, or the Xbox 720 as some have been calling it, is the next-generation console from Microsoft and will be introduced on 21st May at a conference Microsoft are sending out invitations to. While the invitation does not reveal too much about what to expect, it does confirm that the next-generation Xbox 720 will make an appearance at the event. Feature hints are few and far between, with not too much having been given away about the Xbox 720. However, what has been rumoured is the Xbox 720 will potentially force gamers to install games to their Hard Drive, and will also require an always-on connection to the network, most probably used for DRM purposes. There has also been some speculation that the Xbox 720 may even get rid of the disk drive all together and only allow downloaded games from an Xbox Marketplace, but if games hit the 50GB download size, they’ll take an extremely long time to download, affecting the entire user experience. Of course, from here, Microsoft can restrict second-hand content as the games will be tied to your Xbox account so they can check who the real owner is. But hey, even if Microsoft do retain disks for the Xbox 720, you can guarantee there’ll be some sort of anti-piracy feature that will almost kill off the second-hand market. The specs of the Xbox 720 have been predicted to include a 16-core CPU and have graphics power seven times to that of the current Xbox 360 capability. There are also rumours that the Xbox 720 may see integrated Kinect technology, bringing wireless controllers and gaming to the next level with the Xbox 720, although specifics are quite scarce again, with noone really knowing what to expect. There are a lot of rumours that speculate what the Xbox 720 could be, but noone really knows what to expect. Only May 21st will reveal the most anticipated console since the Xbox 360. 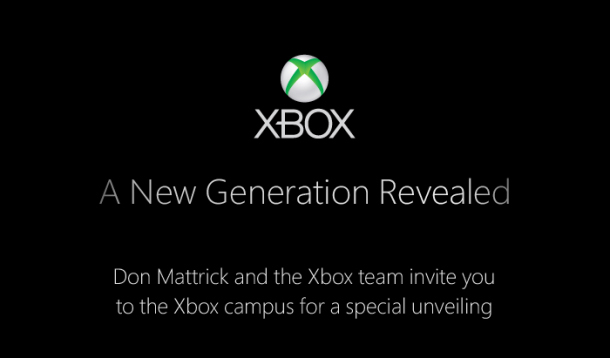 Addit: The Xbox One has been announced. Get the full rundown here.